This formula assumes of course that the score distribution of both LSAT takers and college grads are roughly normal and that both groups have roughly the same IQ distribution. Some might argue that LSAT takers are more intelligent than college grads (on average) since they are considering an additional degree. On the other hand, there are probably a lot of people who take the LSAT under the mistaken assumption that they will go to law school, only to later discover they’re not smart enough to finish even their undergrad degree. So on balance, assuming LSAT takers are as smart as college grads seems reasonable. The correlation between LSAT and SAT scores is +0.33, which sounds low for two tests that supposedly both accurately measure IQ, but keep in mind that the data is self-reported, the sample size is not huge, a few of the respondents may have reported old SAT scores (despite my effort to omit them), and the sample probably suffers from range restriction. Even though both formulas were made using different data, they give similar results, suggesting they are accurate. Famous case happen here in Brazil some years before. A famous brazilian writer was challenged to solve some questions about your own book in a admission exame to public university. He simply mistake most of questions. How would be possible that own author of the book can commit mistakes questions about your own book??? Many psychometrists to do cognitive exames based on own conceptions, self-projection or non- Real empathy. Many them think “- this question seems objective t-o m-e”. But it can be not. People who can “interpret” better ( the intention) what the psychometrist want to say with your test, will score higher in iq tests. Is not pure intelligence, is likely more mind similarities than intelligence itself. Like “ghetto verbal test”, famous ridiculous cultural test created by some obscure psychologist in try to show that “white middle class educated and urban man” are not more intelligent at all because they do not understand the “street behavior and tongue”. it does not mean “iq tests are wrong, then, cognitive racial disparities are artefact of statistics errors or by biased tests“. nope. reality show us that differences are obviously real and are caused firstly by genetic predispositions. The pool of college dropouts is most likely higher among the general college student crowd than those who take the lsat. For every person who took the LSAT and didn’t make it, there are likely a few more who just didn’t finish their undergrad degree. I wonder why the LSAT don’t have a math section . the math of how much money a lawyer can recover is important to whether to take on a case, the strategy to pursue, etc. they reflect some native ability for math, but one needn’t have a degree in math, physics, or engineering to score very high. a perfect score on the old GRE quantitative was only ca the 97th percentile for some administrations and the majority of those with math, engineering, or physics UG degrees scored 800 iirc. but is this because they had that much more native ability (supposing there is such a thing) or because they’d taken math intensive courses? and the logic problems are only half the eqn of mathematical ability. the other half is visuo-spatial. Speaking of which, look at this nifty calculator that ETS just came out with that converts GRE scores to LSAT. interesting (but not surprising) that it gives more weight to Verbal than math. Law is a profession of writing and speaking. Those things are not important in the legal profession. Ashkenazi Jews dominate the legal field and Asians do not. There’s a reason for the discrepancy. Verbal IQ. indeed. the supposedly superior NE Asians are conspiciously under-represented in the law. and this cannot be explained entirely by their parents or grandparents having spoken some NE Asian language. just watch Jeopardy. in recent years it’s made a point of including non-whites and Arthur Chu and Jay Rhee have been impressed, but not that much. a black guy has already won the ToCs. and even the best of NE Asian literature is rather un-impressive compared to theie counterparts in European and Indian literature. i wouldn’t claim the explanation is “genetic”. these are just brute facts. sorry…Arthur Chu and Jay Rhee have been impressed (http://en.wikipedia.org/wiki/Impressment) and impressive, but not that much. East Asians are severely under-represented in any field that requires verbal dexterity and writing talent. I was wondering if this has any bearing to their general lack of intrinsic motivations (which requires the utmost self expression in forms of speech and words). Not only that, they often come across as less enthusiastic in social engagement, to the point of being terse and unemotional. If this isn’t race based or genetic, then I don’t know what are the reasons. JS, I’m guessing a white girlfriend must have dumped you for an East Asian guy. 🙂 Why else would you hate on them so obsessively? just more gross mathematical incompetence on display. as Swank has said pp has no interest in the truth. I know you think you’re good at math, but you’re not. You have know understanding of equipercentile equating (score pairing) and why it works. Probably never even heard of it. This is a topic members of Prometheus debated. You’re just not in that league. one would expect a small correlation between LSAT and self-reported IQ scores, because the population of LSAT takers is so select. it’s called restriction of range. suppose one has two tests such that the rank order is maintained. say that the population taking test 2 is select. say that the test 1 scores of those sitting test 2 are uniformly distributed between 115 and 130. but that the test 2 scores are fitted to a normal distribution. what happens when pp’s innumeracy is applied? the mean for the select population is 122.5. its SD is sqrt(15^2/12) = 4.33. but the SD of the fitted normal distribution is 7.5 – PHI(-1)*15 = 5.12 or (7.5 – PHI(-2)*15)/2 or whatever you like. most LSAT takers have already graduated. almost all the rest have completed their junior year. people who have done well enough grade wise to apply to law school who have only one year left of college don’t drop out ever. all of the grad school exams are select among college grads not just among those who have some college. they think they’re smart, and they think those much smarter than they are stupid. Did you even read the post? Can you read? I mentioned range restriction, and I was the one who told you about it back in the Spring. But in formula 2, I didn’t fit anything to a normal distribution and got virtually the same result as formula 1. You don’t have the math chops to correct my work. 2. its distribution is not normal but skewed to the right. Obama’s not being honorable mention or better on the PSAT is not necessarily significant. my dad scored only in the 90th percentile on the SAT, but he scored in the 99th percentile on the LSAT. 1. it’s a different test. 2. some people reach their peak later than others. 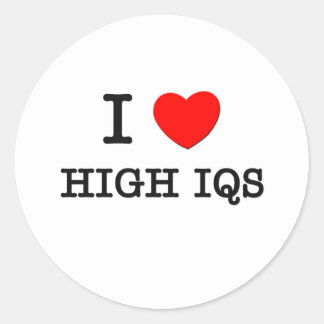 3. the ecological fallacy regarding IQ and age is that everyone reaches his peak at age 22 in fluid IQ and age 55 in verbal IQ and full scale IQ at age 35 or something like that. 1,2, and 3 are great points. 2 and 3 are especially easy to forget. it used to be said that grandmasters reached their peak at age 35, and chess requires both a lot of crystallized and fluid intelligence, so far as there are such things. 1. Anand is better than ever and is now 45. 2. Steinitz and Smyslov are both outliers in that both retained their strength deep into middle age. Reshevsky and other child prodigies peaked early relative to others. Botvinnik didn’t even learn the rules until his teens. this may be an example of the environment changing and thus higher norms being achieved. namely, there’s been an enormous advance in chess software during Anand’s career. the best engines are better than any human and there’s been a lot of change in opening and endgame prep software. the 94th percentile of college grads’ IQ is higher than the 94th percentile of a normal distribution centered at the college grads’ mean score and having the college grads’ SD. and this because the college grads’ IQ distribution is asymmetric with a short thin left tail and a long fat right tail. There’s a way to test your theory using a technique known as equipercentile equating (the same technique that was used to norm the Mega Test). In this blog post I list data from people reporting both LSAT & SAT scores. But according to you, 149 should be a huge underestimate, because you claim LSAT takers are smarter than college grads, and that the right tail of the distribution is much fatter than the SD would predict. And yet, IQ 149 is 7 points higher than the IQ assigned by equipercentile equating; a technique that is entirely based on pairing LSAT scores with SAT scores (for samples who took both tests) with no assumptions made about the mean, SD, or shape of the LSAT IQ distribution. Of course I used a small sample of self-reported scores so strong conclusions can not be made either way, but if anything, it suggests that assuming a Gaussian college grad distribution might be too generous to the top LSAT scores. anyway, the bottom line is that Obama, Clinton, and Nixon are the smartest presidents since Wilson or TR, and all of them are in the 99th percentile of some IQ test. and regarding nutrition, Nixon was so poor sometimes there was nothing to eat but candy bars. and Nixon was a quaker. quakers and unitarians are another example of culture effecting IQ. they score as high as Jews on the SAT, but are much smaller in number and very un-ambitious. “To be an educator is best; to be a lawyer is the worst.”–Chinese father of a Chinese American man who founded an inner city high school. JS and Robert Mugabe, Asians are underrepresented in the legal profession because there are strong parental and cultural pressures against becoming a lawyer. On the macro level, Chinese society (which has profoundly influenced Korean and Japanese culture) shunned those who made a living defending the accused, placing them on a level comparable to tax collectors in the ancient Western world. The perception was that such people simply twisted the truth, turning proceedings into a contest rather than the pursuit of justice. Rather than have an adversarial system where each side had lawyers defending their clients, ancient China had magistrates who investigated the case along a more collaborative mode. The Chinese also have had a longstanding distrust of laws and explicit rules in general; this attitude is rooted in ideas first set forth by Confucius, who said that if the people were governed by rules and laws, they would obey if that was advantageous to them; otherwise, they would simply find ways to evade the rules. (Sound familiar? Sounds a lot like our legal system, where one can simply hire lawyers to manipulate the laws and get the results one want; it is not uncommon to find a law convincingly interpreted one way by one lawyer, and manipulated in the exact opposite way by another lawyer.) But, Confucius went on, if the people are governed by superior men, those filled with the spirit of “ren” (variously translated as humanity, magnanimity, compassion), the people would naturally try to emulate their example of humanity, and become good. They then could be trusted to resolve their own matters through informal means, overseen perhaps by civil servants, while legal codes were reserved for those who had become sufficiently depraved that strict laws and punishments were necessary to rein in their behavior. It might be tempting to assume that such an approach was inadequate, or that China’s system was so authoritarian that that was the real reason for social stability; but in fact the ancient judicial system had many checks and balances to ensure that only the guilty were convicted, and that the latter had many chances to appeal or request leniency. There was a New York Times Op-Ed this past Fall that noted that executions were actually very rare in ancient China, whose judicial system had many layers of review to protect the innocent. **If there is a push away from being a lawyer, there is a pull toward becoming an engineer, doctor or scientist–any profession where merit and achievement is defined in quantitative terms to help eliminate the specter of discrimination: CNN anchor Anderson Cooper interviewed Yul Kwon, the winner of Survivor (the TV series) in 2006, expressing incredulity when Kwon said that his father was disappointed when his son decided to go to law school–to Yale Law, no less. Kwon said that Asian parents preferred that their kids pursue quantitative fields for the reasons I listed above. Perhaps they overrate the role of discrimination, but that is besides the point: Asians have a cynical attitude toward law and also feel that there is less discrimination in fields like engineering and research science, which one might add are virtually open territory: even now, few Americans enter these fields, while the country is saturated with lawyers. **Despite the relatively low percentage of Asians becoming lawyers, there have been a fair number who have become very prominent. Morgan Chu (brother of Steven Chu, the physics Nobelist) was named Trial Lawyer of the Year and is regularly listed in the Top 100 Trial Lawyers. Harold Koh has been called the country’s top attorney in international legal disputes, and is dean of Yale Law School. Kiwi Camara, who was the youngest ever to enter Harvard Law at age 16, became embroiled in a racial controversy over free speech, then achieved professional fame representing clients pro bono against powerful interests like Sony Corp. Don’t forget that Asians figured into civil rights law from the very beginning, in 1856 with People v. Hall: with little English-speaking ability, Chinese railroad workers in California were able to build a case that a Chinese person could testify in court against a non-Chinese person. While they lost, their work is routinely cited by civil and human rights researchers even today. you’re preaching to the choir in my case. i would never claimed the reason is “genetic”. but even in silicon valley NE Asians are conspicuously under-represented among entrepreneurs. I am not Chinese, and I would not call them “the most racist and chauvinist people in the world.” You might want to take a look at Deborah Brautigam’s book, “The Dragon’s Gift,” which reports on the Chinese’s development work in Africa, which she shows carries little of the colonial racism still harbored by Western foreign service and development workers in Africa today. While Western officials often live in gated-off developments, Chinese professionals and foremen often live amongst their own workers in bunks, she reports. And China’s development work is not a new thing; it is not due solely for the need for resources: in fact, the Chinese built the Zambia Railway at a cost of $500 million in the early 1970s, decades before China’s economic takeoff and its need for resources. Also, don’t forget that the Chinese never became a colonial power, despite having the resources and technology to do so: it rather traded with peoples in the Philippines, Indonesia, etc for centuries rather than conquer them. Likewise, when they went to Africa in the 1400s, they did not start one battle, establishing peaceful trade instead. Also, there have been tens of millions of Muslims in China for 1000 years, and small Jewish communities such as the Kaifeng Jews, since the 8th century. I am not saying the Chinese are angels, however: they can be haughty and proud, but such feelings have not led to colonialism or race-based slavery or racial ideologies like Nazism. but i would re-iterate than Confucius et al are IN FACT a JOKE in comparison to Aristotle, Plato, the Upanishads, the Sutras, etc. I don’t have time to go into Confucius, but your reading of him is probably the standard Western reading, which reduces him to talking about filial piety and pithy expressions probably spoken by other thinkers. Take the ‘aristocracy of talent’ put forth by Jefferson, for example. A Confucian idea, rooted in his teaching (in 500 BC) that everyone was equal, but that learning and practice set us apart. That seems self-evident NOW, but it was not so in Europe even 200 years ago, let alone the ancient world 2500 years ago. My English professor in college, a Brit, emphasized that one could not really understand Shakespeare unless one realized that people back then really believed that the rich and the rulers were intrinsically better than everyone else–that is why they were called nobles. The idea that ANYONE should and could become a ruler is an idea–a quite liberating and egalitarian one at that–put forth in 500 BC by Confucius, in a time where every society from China to India to Arab to Greece was defined by strict classes (heck, even those Greeks had slaves). Confucius’ ideas on the perfectibility of all individuals led to his teaching that all, no matter their station, should be allowed the chance to raise his station in life: “If the people are educated, distinctions between the classes disappear. If the sons of princes and kings lack quality, they should be cast down to the level of peasants. But if the sons of peasants have quality, they should be promoted to the ranks of rulers.” By contrast, India had a caste system that has survived in some form to the present day. If you were born an untouchable even 100 years ago in India, you could forget about ever learning to read the English signs on the British civil service offices (the civil service being run by Mandarin-style meritocracy as per the Trevelyen-Cote doctrine, which prescribed written examinations on the Chinese model)–let alone the passages of the Upanishads. Another Confucian concept is the idea that good government rests on the proper use of language which, if twisted, would simply allow the rulers to mislead the people and become tyrannical. Sound like George Orwell? ever desireless one can see the mystery. btw, again it’s not me saying this. in a book i have titled Chinese Philosophy, at the end the author admits that what has been called “Chinese philosophy” isn’t philosophy at all. in the case of Chinese the language may be the problem. my fluent in Mandarin uncle said that Chinese was simply a bad language, it was far more difficult, or impossible, to say what one meant. The Analects seem to be written by a thirteen year old girl. but, of course, i was reading them in translation. the Lao-tzu and the Chuang-tzu seem to be written by a drunk David Carradine. i thought very highly of the Lao-tzu…when i was fourteen. and lest one read these scholia and surmise that i am sympathetic with Indian thought…there’s no need to surmise…I am. and Chinese “thought”? from the burning bush, to Parmenides and the Upanishads, to Aquinas, to the German Idealists, to Heidegger (all others were John the Baptist in comparison) is an unbroken semantic chain. RMugabe, I’ll end here by recommending that you look at China’s New Confucianism by Canadian scholar Donald Bell, and Confucius Lives Next Door, by T.R. Reid, a former Naval Officer and Washington Post correspondent. Many other scholars, like Kissinger and Fukuyama, have said that the wealth and resilience of East Asian nations is finally rooted in Confucian principles like meritocracy and secular humanism. And don’t forget: many European intellectuals, like Voltaire and Leibniz, inventor of calculus, were quite fond of Confucius. Intellectual Historian E.R. Hughes said that some of Leibniz’s deepest philosophical insights were directly influenced by Confucianism. I don’t begrudge your interest in Greek or Indian philosophy–I am fascinated with that too. I just don’t think it’s a zero sum game. Actually, there is no such thing as zero sum, winners and losers, good and bad. Opposites are illusions. Things are simply aspects of one other, and the idea that there is a definable entity is simply a product of our mind. That’s yin yang. Again, I’ll end here for good because I have been on this post too long. Look childish, look impulsivity, because is it. And most of east asians do not have this suscetibilities. Impulsivity can be understood as contextual defect in complex social systems. But with right combination, anxiety and sensation seeking can create a genius personality profile. Confucious was very likely to be like that. Is smart avoid complex situations, but the challenge is a natural path of genius. East asians contort mountains, westerners climbe it. This make all difference. East asians aren’t so perfect as you are saying. You like “liberalism’ but you don’t want avoid to talk with pride about your own racial supremacism. Whites on average are not extremely superior than others, but its creative caste are proportionally large than asian creative cast, with less greater difference than Japan and more diverse. This explain lower participation in higher verbal skills professions. The safest answer is very smarter, but isn’t creative. East asian nation copy every aspect of modern western societies than revolutionize own culture. China make all stages of industrial revolution, like environmental pollution, cruel demographic-geographic management, exactly same mistakes that were commited by whites in the past and today. Sorry. I love Japan. I know about many cognitive and cultural aspects of east asians, i love chinese philosophy, but you are not perfect. Lack of humility and winsdom. You eat cat and dog meat, domesticated babies, because is more easy care them, treate them in industrial scale, but is cruel. Eat meat is cruel, westerners have its fault but you, specially Continental east asians can be extremely cruel in this cultural aspect. And yes, we are our genes, at least greater genetic influence there, but is not heritable as color eyes because is more plastic and complex, but our will born inside us and not outside our energetic existence, shakhra and genetics. East asians thought is linear, pragmatic and economic. Western or white caucasian thought is more curved, lot of dead end. It sounds a lot like a common cynical caricature of our legal system, yes. And it’s nice that you frame it as cultural opposition, but the fact is that the Chinese have a general cultural tolerance of cheating. So that explanation seems wrong to me. Speaking of cultural peccadilloes, HBDers tend to only be HBD about everyone else. Michael Hart is pro-HBD until one mentions jews, for example. Perhaps it makes sense: the Japanese, after all, created the novel as a literary genre, with the Tale of Genji in the 11th century. Across the Sea of Japan, the Chinese claimed their first Nobel laureate in literature, Mo Yan. East Asian writers have had arguably greater success outside of fiction. For example, Francis Fukuyama, an intellectual historian now at Stanford, wrote the End of History, where he demonstrated that the main theme of history has been the inexorable progression toward liberalism and democracy. His argument is often seen as among the strongest defenses of liberal democracy in the post-war era. If you include movie directing, there are even more icons: Yasujiro Ozu and Akira Kurosawa are regularly cited by critics and directors alike as among the very best directors. Roger Ebert said that if you polled the world’s critics, Ozu would “rank at the top or near the top”, along with Orson Welles and Alfred Hitchcock. He expressed disappointment that he is largely unknown to Western audiences; perhaps this is true of many Japanese and Asian writers in general. JS, on your comment on quiet Asian people, much of this has to do with the simple fact that one behaves much different when one is 4% of the population; one need only go to a bustling Chinatown or Koreatown to observe many noisy people yelling at each other or otherwise behaving rudely. Go to a University of California campus, and you will see a vibrant campus with many Asian students campaigning for positions, preaching the Christian gospel, or singing in a cappella groups–they are not the majority there, but being a plurality there does seem to change their behavior. Finally, many have noted that the Anglo world is particularly, but subtlely, hostile to Asians, who regularly are cast as villains in the movies. Asians may internalize this hostility and adopt tentative behaviors in response to the perceived sense they are not liked. By contrast, Asians seem to do a bit better in Latin cultures: Alberto Fujimori was a popular talk show host in Peru long before he became President, and a Brazilian of full Japanese descent is now head of Brazil’s Air Force–one of the largest in the world. Interracial marriages with Asians are more common in Jamaica and Panama and other Latin nations than in America, and have little gender disparity (while most interracial marriages with Asians in the US involve Asian females). Alberto Fujimori?????? Jesus christ Mary and Joseph. Very corrupted ex president of Peru!! In Brasil, asian people are very unpopular. They married of course, rarely with beauty queen ones. I doubt that these ever happened. If we assume IQ correls .81 with LSAT…then a 1020 is about average on the SAT, which would be around IQ 105-6, which is about .33 SD…*.81 = .27 SD LSAT. And the SD around that would be sqrt(1-.65) = .6 SD. SO…172 is about 2.06 SD away from .27….divided by .6 = 3.43 ‘lucky’ SD. The fact that you have three of these in such a small sample says something. I know I’m late to this party so you probably won’t see this comment, but I think this is a pretty interesting topic, if only because I have taken the LSAT and SAT myself along with many of peers at school, and I received wildly disparate scores on those tests. I’ll just say that my SAT was very high while my LSAT was too low for me to even mention. I received both of these scores after a minimal amount of studying. I know many people who have started out with low LSAT scores but were able to raise them 10, or in one case, even 16 points by studying between their initial practice exams and their final test (some took the LSAT several times). This was amazing to me because I had always thought that highly g-loaded exams like the LSAT were largely impervious to score improvements by dedicated test-takers. Sure, a handful might see decent improvements on the logic game sections (the section that I believe is easiest to see improvements on), but some of these students were making large gains on every section after a few months of studying! I could never figure it out. There are two ways to make a test difficult to study for. One is to make the test so novel and new that almost no one has ever seen anything like it before (that’s what official IQ tests often do), The other is to make the test so familiar that everyone has seen something like it a thousand times before, so additional studying has diminishing returns (that’s what the SAT and LSAT try to do). I don’t doubt you’ve known people who has been able to increase their LSAT by 10-16 points, but statistically just by chance we should expect a few people to show large gains when tested repeatedly, and these are the people who are most likely to talk about their scores. But for every person who sees a 16 point gain, there might be someone else who sees a 16 point decline after practice, so on average the effects of test preparation might be almost zero. You really need to look at a random group of people who has been tested repeatedly, not just the self-selected subset that voluntarily tell you their scores. Good points. However, I think that the logic games section on the LSAT is somewhere between entirely novel and entirely familiar, hence why so many of the people I’ve known have seen very large improvements on just this once section, but somewhat smaller or nonexistent improvements on other sections (this was the case for seven test-takers out of about a dozen I knew in all).